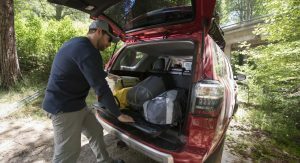 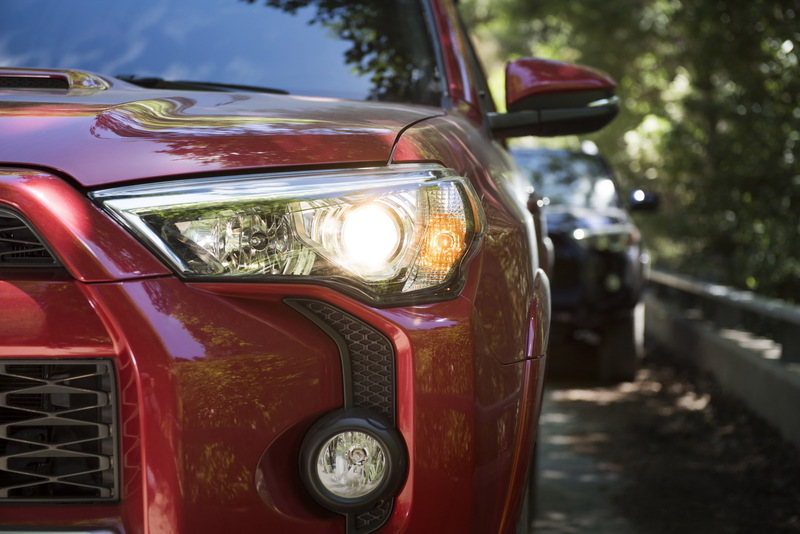 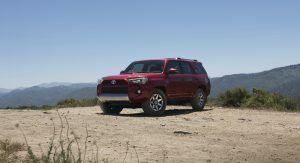 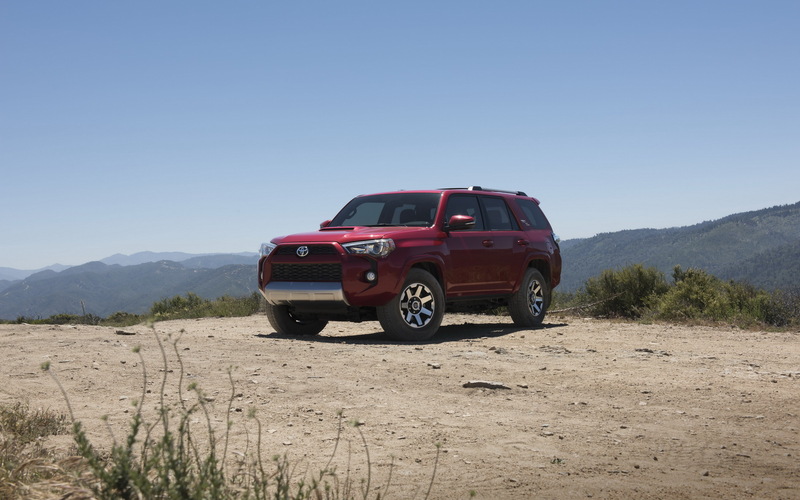 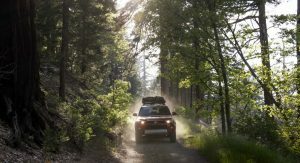 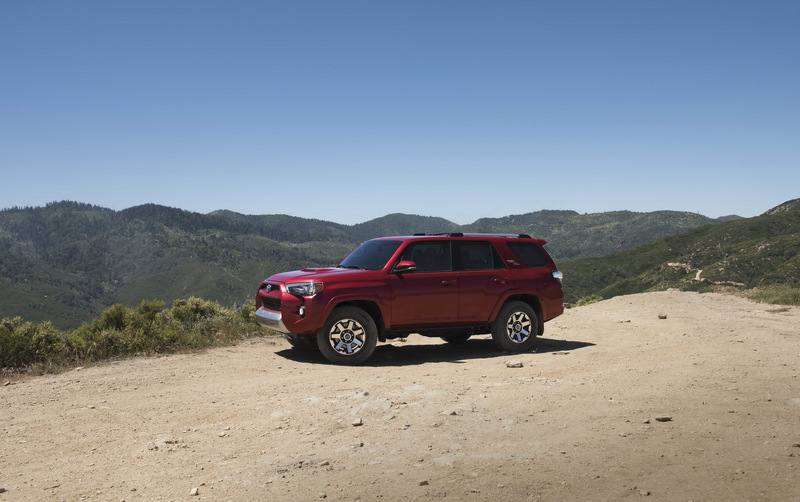 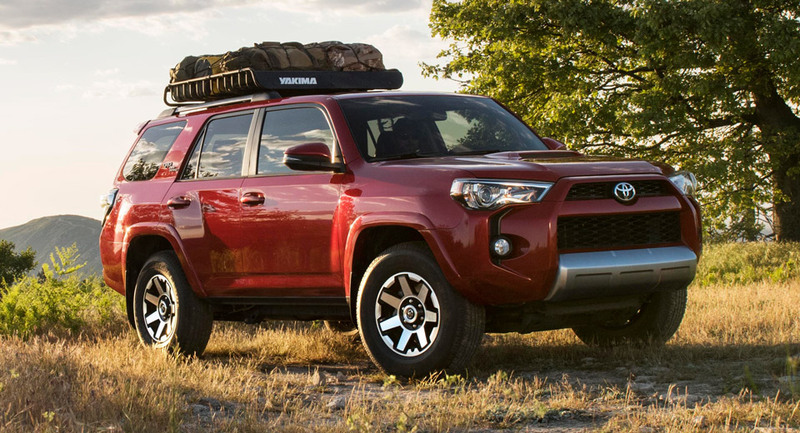 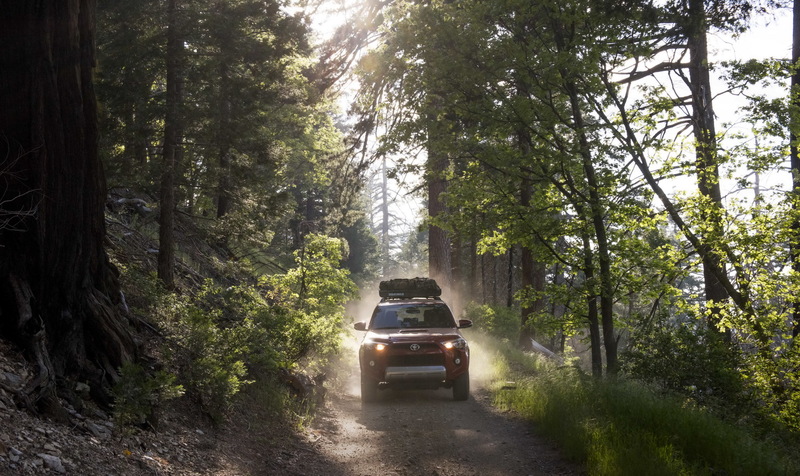 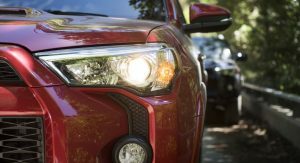 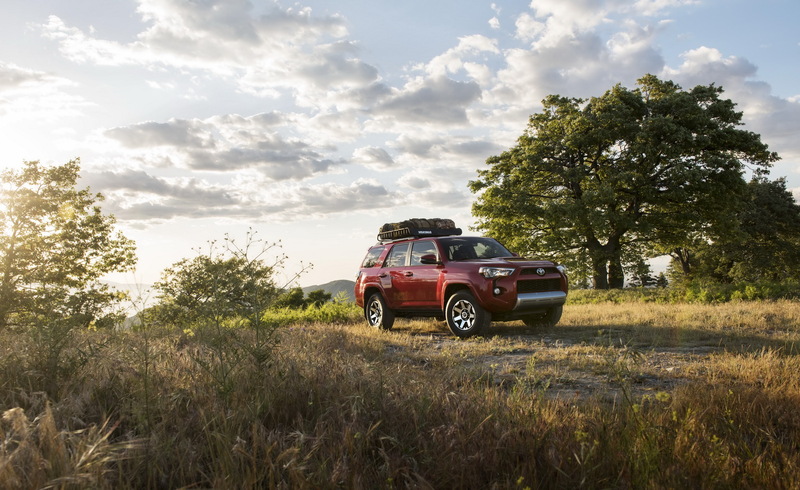 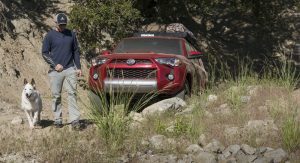 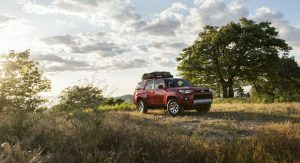 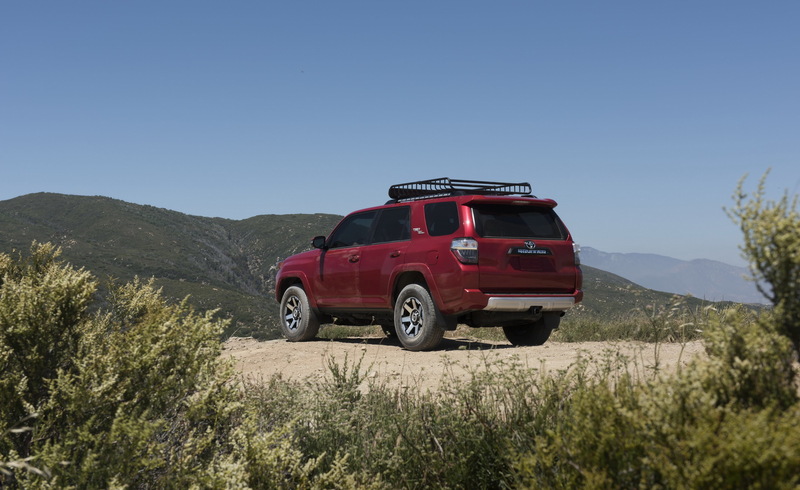 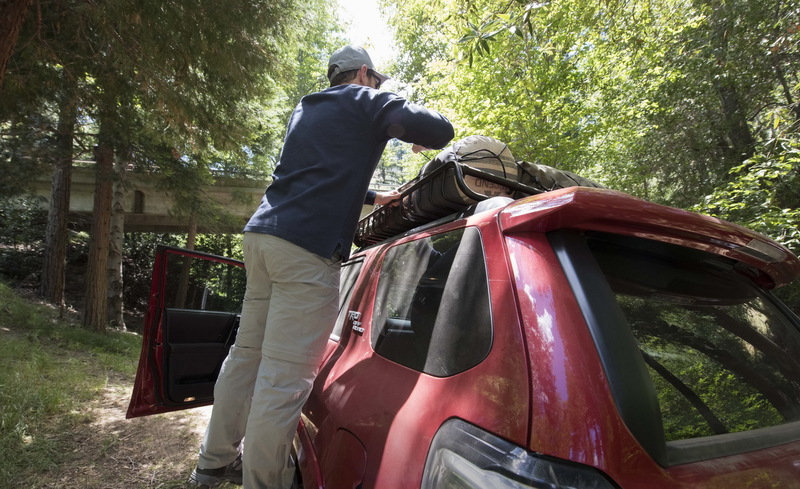 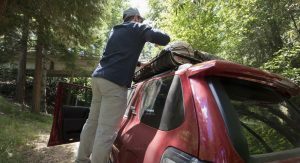 Toyota’s 2017 4Runner SUV will be able to travel further out into the wilderness with one of the two grades that have joined the rest of the family. 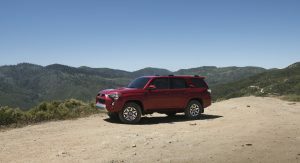 Dubbed TRD Off-Road and TRD Off-Road premium, the mid-range trim levels slot between the SR5 Premium and Limited, bringing the total number up to six and setting themselves apart with their unique “TRD Off-Road” badge on the C-pillar and black painted wheels, with the latter available on the TRD Off-Road. 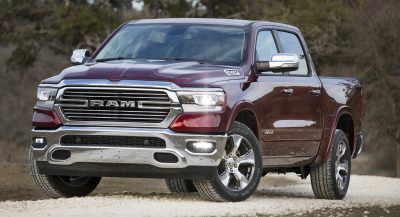 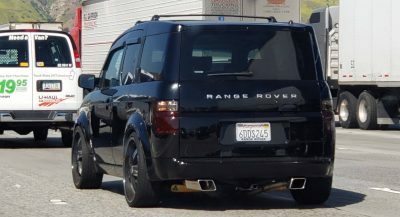 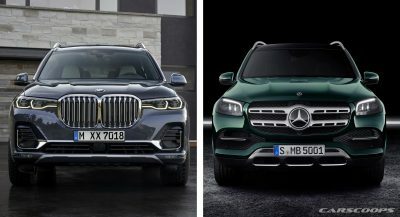 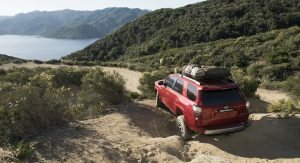 Underneath their rugged-looking exterior, both feature the Multi-Terrain Select system that allows the driver to choose between different modes and adjusts the wheel slip accordingly, an electronic-locking rear differential and a transfer case that can be shifted into low range. 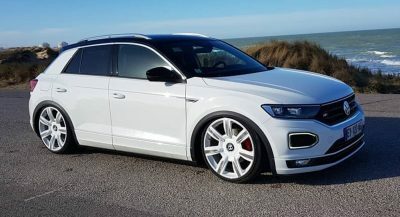 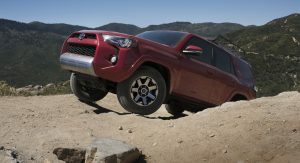 These add up to the brand’s Crawl Control, which proves its abilities in challenging off-road situations by maintaining a constant speed when driving over obstacles, the available Kinetic Dynamic Suspension and a high ground clearance. 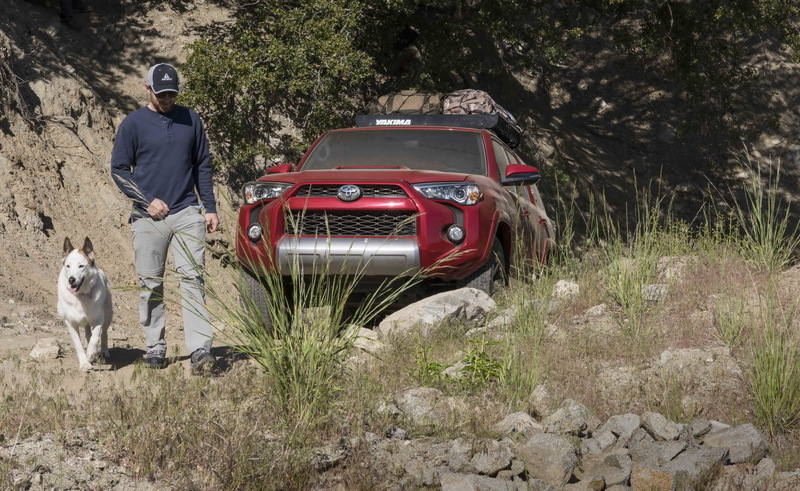 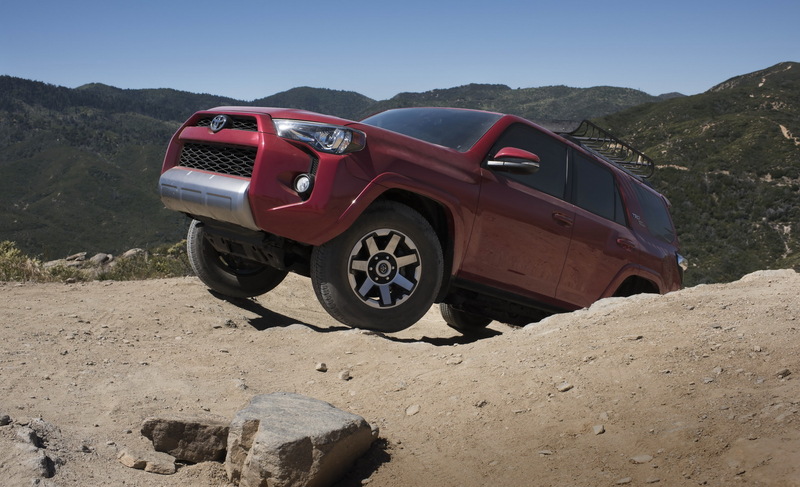 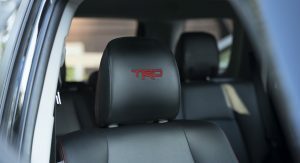 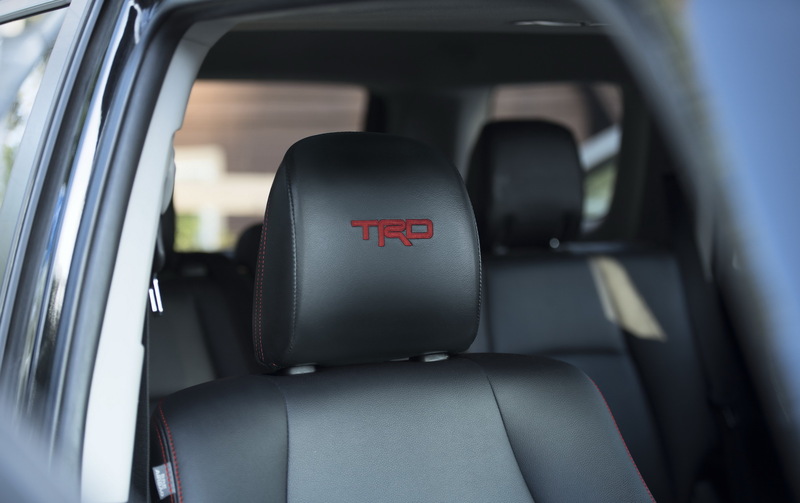 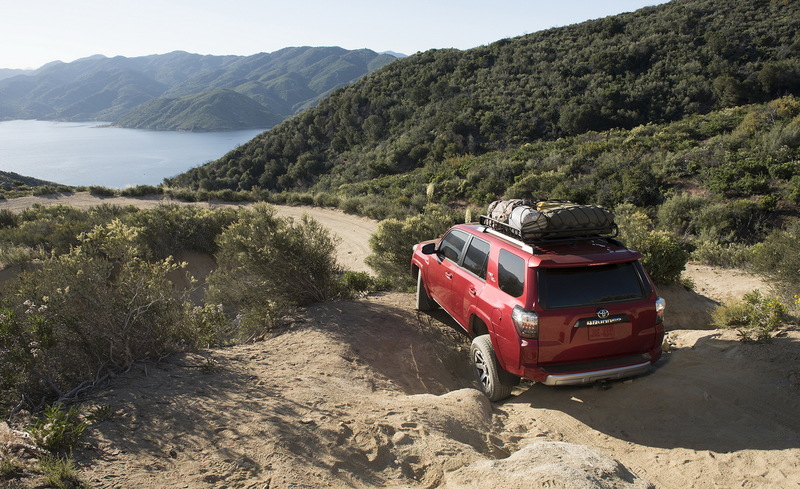 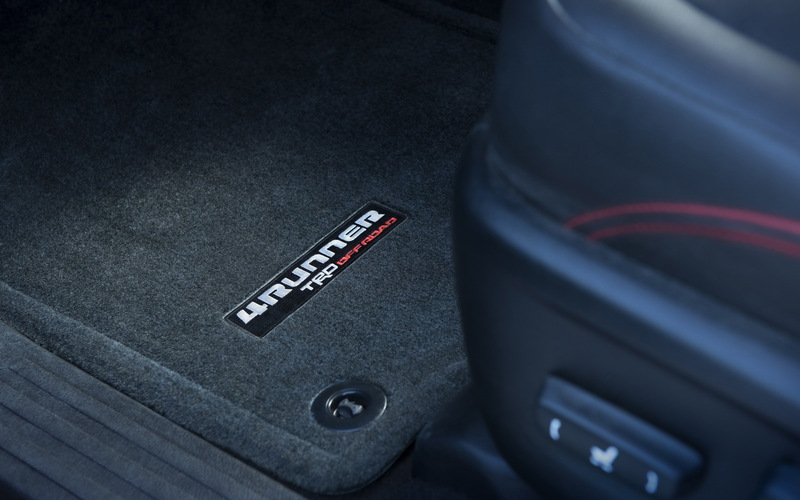 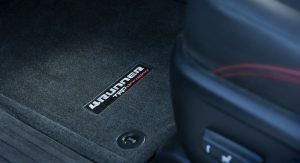 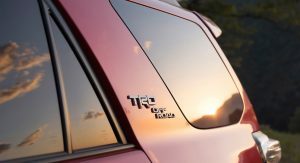 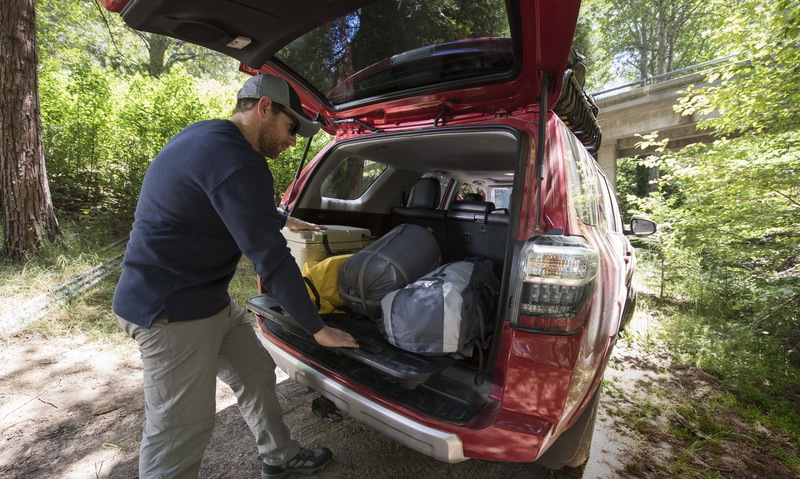 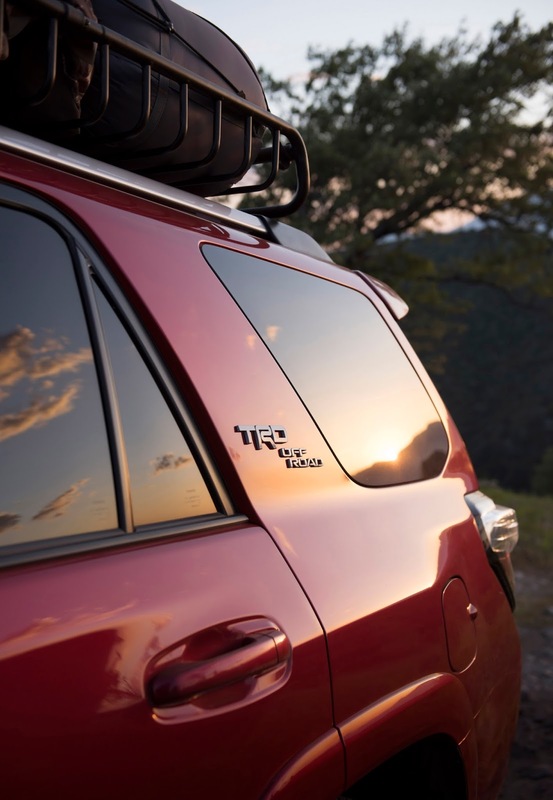 Open the door and you will find a carbon fiber look for the center console and TRD Off-Road designation on the floor mats of both models, while the Toyota 4Runner TRD Off-Road Premium adds the “TRD” lettering on the headrests of the front seats. 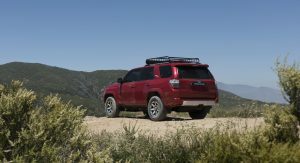 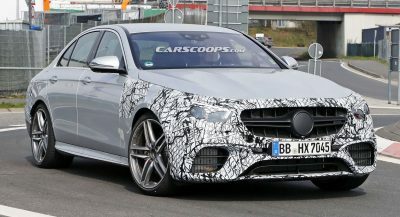 Full details and pricing on all grades will be available prior to the SUV’s launch later this year.